You can search the whole world to find these beautiful clip it on your hip and swirl it on your lips retractable YOYO lip glosses but you will only find them at Justice Stores! This giveaway will end August 16th at Midnight EST. Disclaimer: I received complimentary YOYO Retractable Lip Gloss for the purpose of writing a review and hosting a giveaway. Regardless, I only recommend products or services I use personally and/or believe will be a good fit for my readers. The views and opinions expressed on this blog are purely my own. Results may vary. No monetary compensation was received. I would choose the Rhinestone Initial yoyo lip gloss in letter B for my eldest daughter who would just adore it. I would choose the letter L for my niece. My daughter is a huge Justice fan, and loves everything from that store! She would love the E initial lip gloss and would probably want to get all her friends one, too. I would choose the letter A for my oldest daughter, Autumn. Her birthday is next week, and she'd love it! I would choose the "E" and it would be for my niece Emily! She loves Justice clothes! We shop there all the time! My daughter is SO girly and loves things that sparkle!! Her first initial is J! 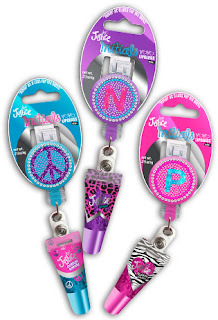 I would choose the Rhinestone Initial yoyo lip gloss in letter t for my eldest daughter who would just adore it. I would choose the Rhinestone Initial yoyo lip gloss in letter R for my oldest daughter who would clip it to her backpack. 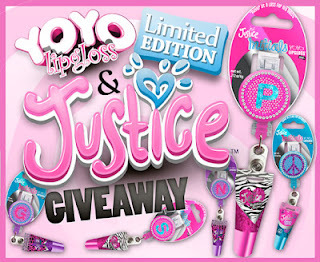 I would choose the rhinestone YoYo lip gloss with the initial R. It would be for my 9 year old daughter.